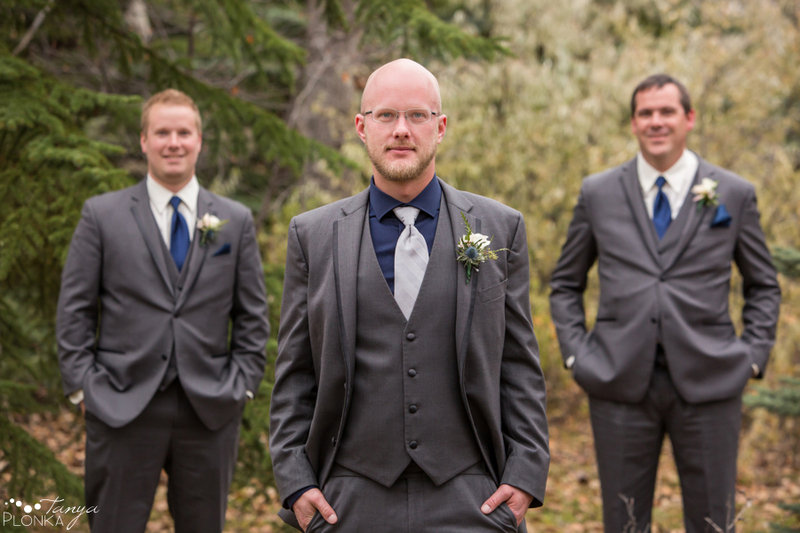 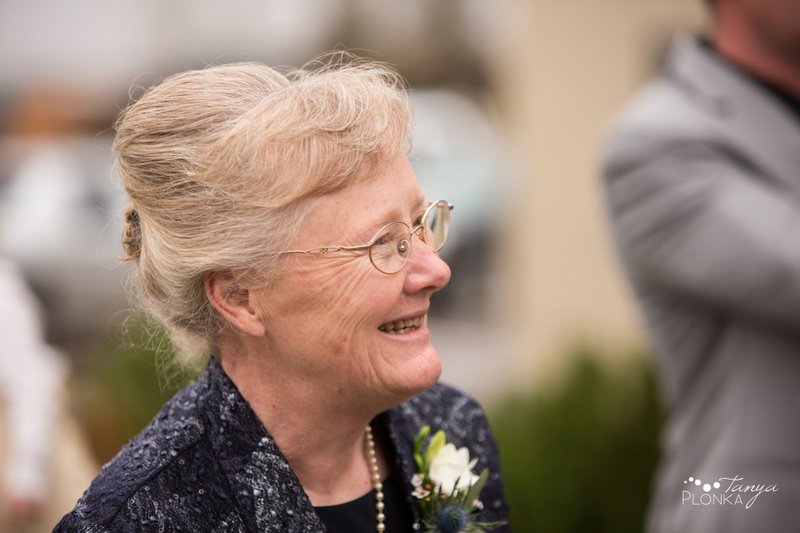 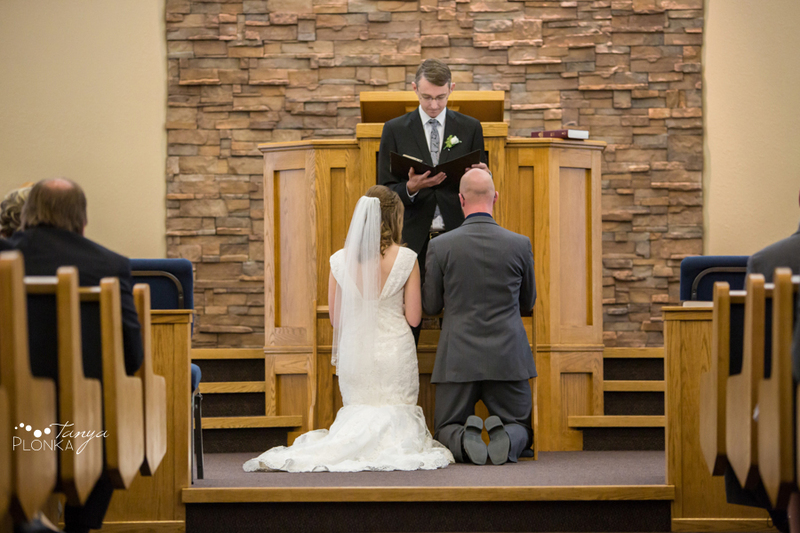 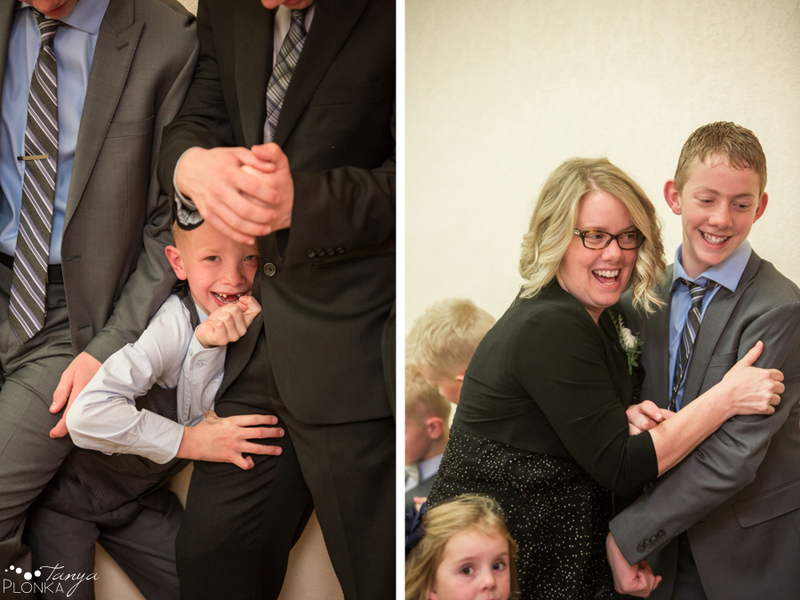 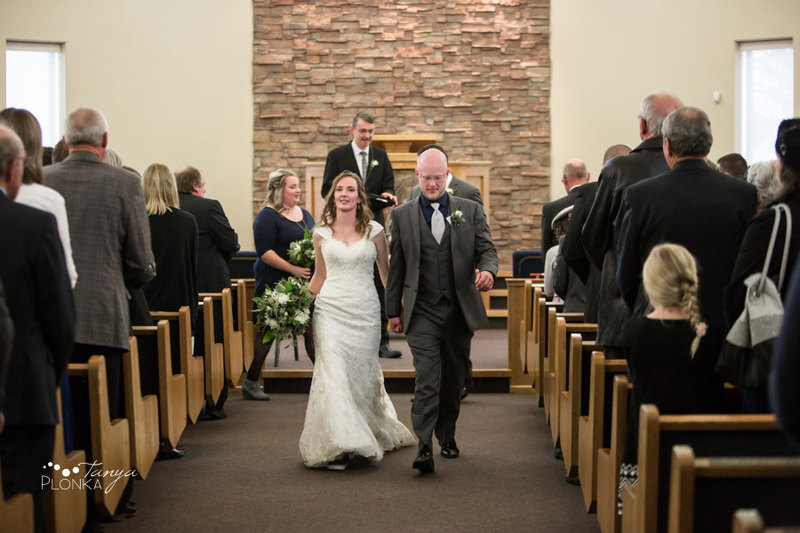 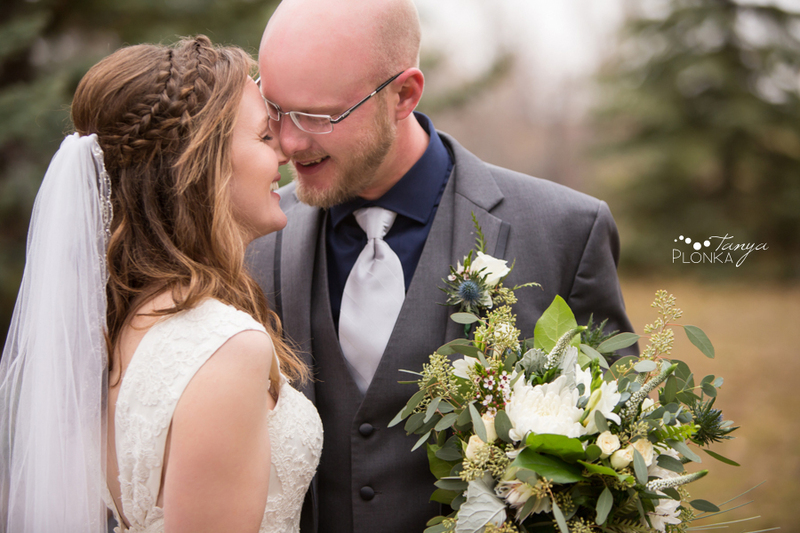 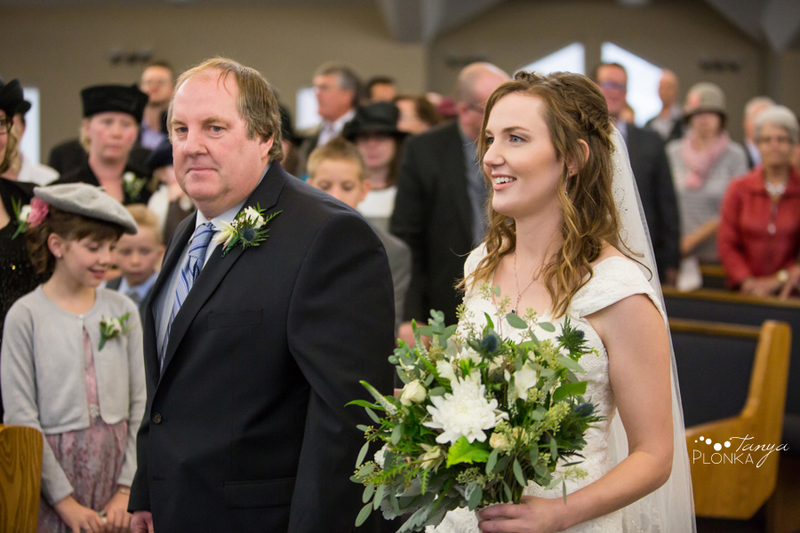 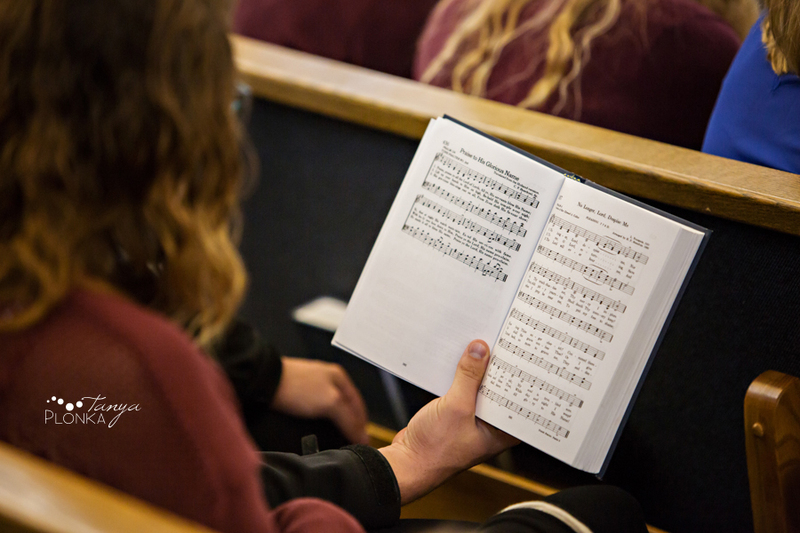 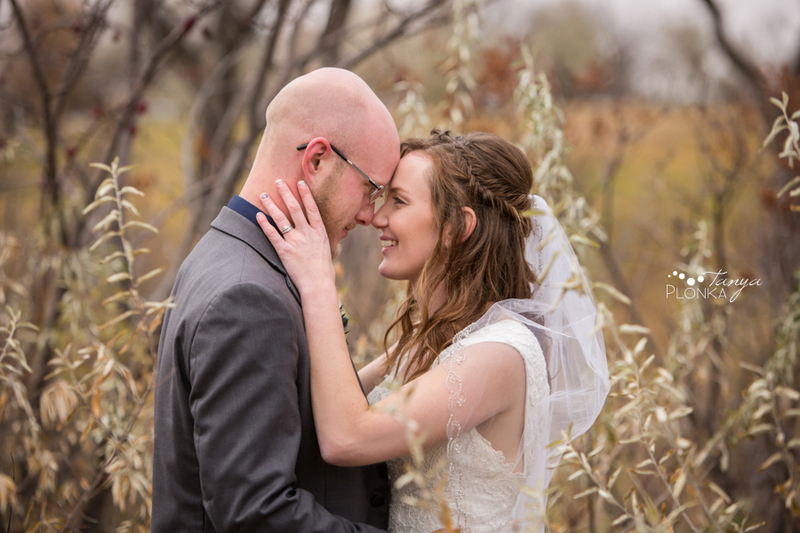 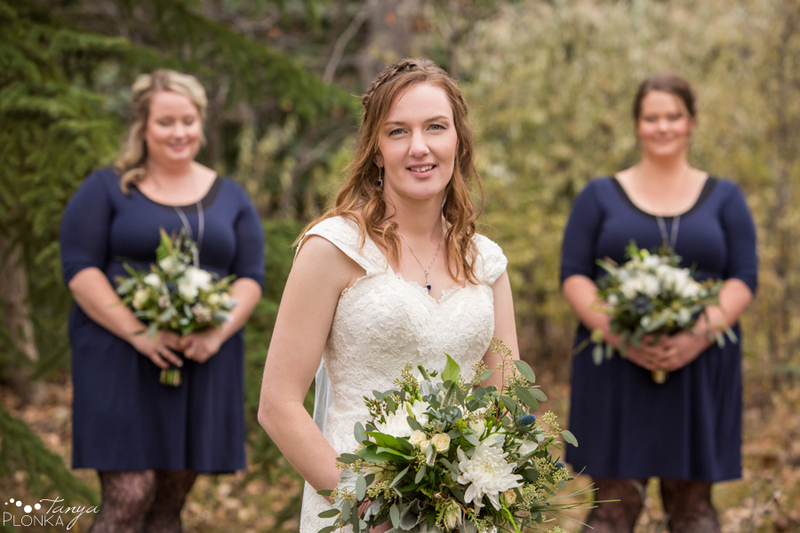 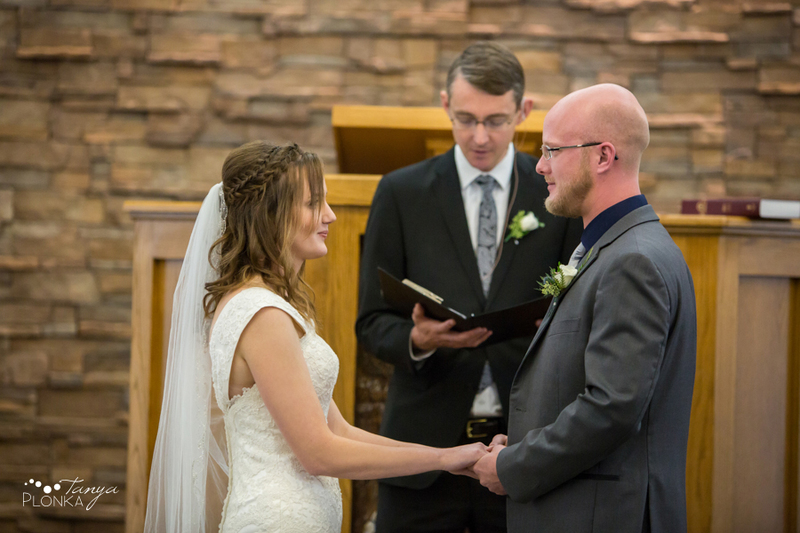 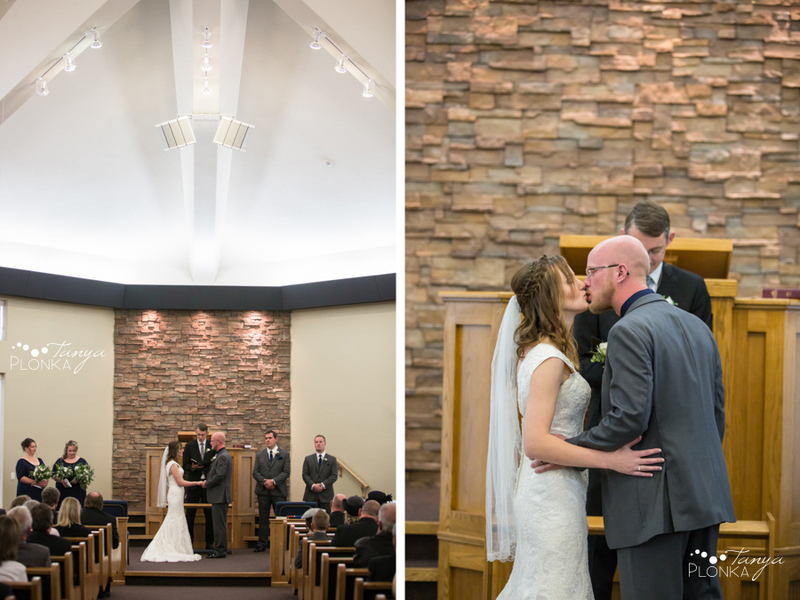 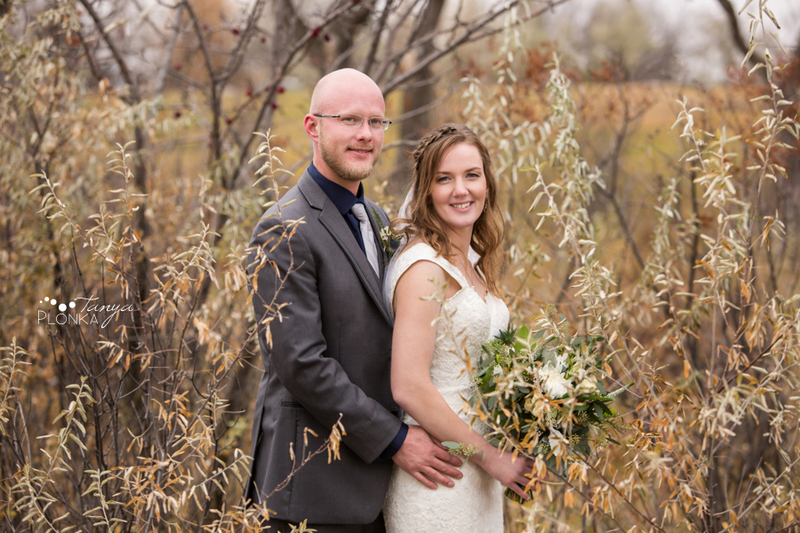 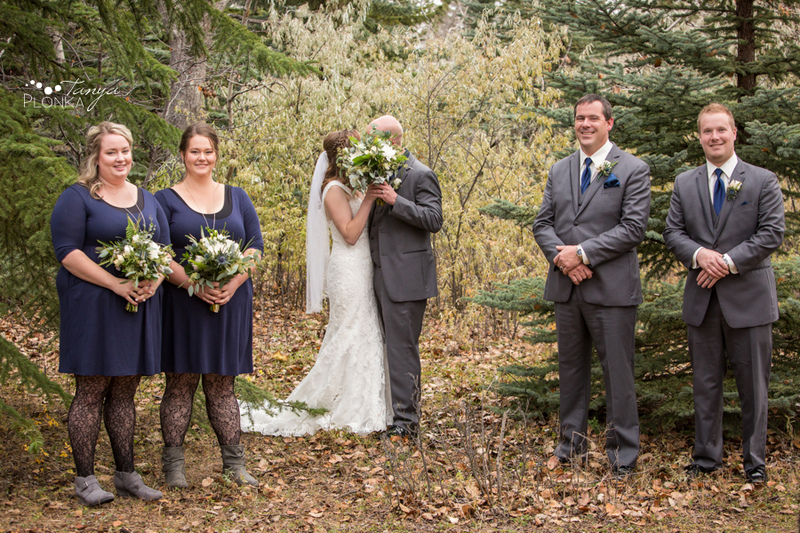 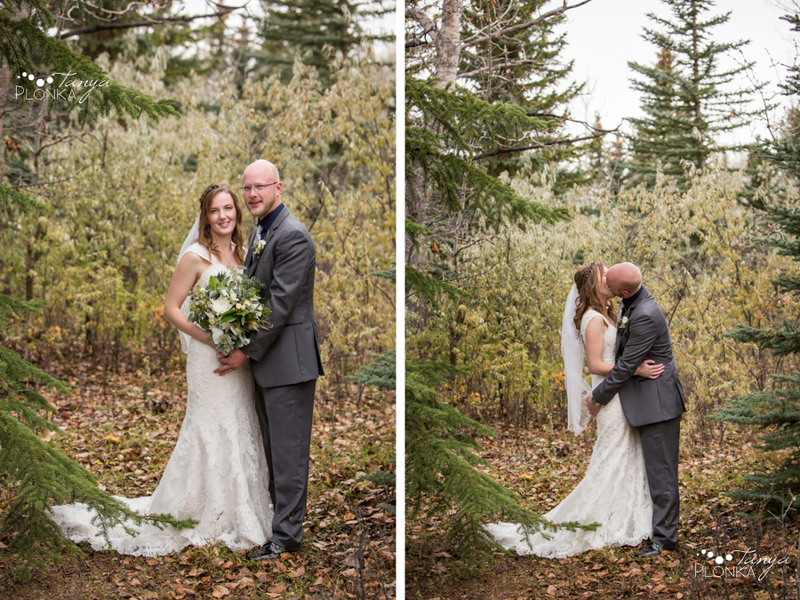 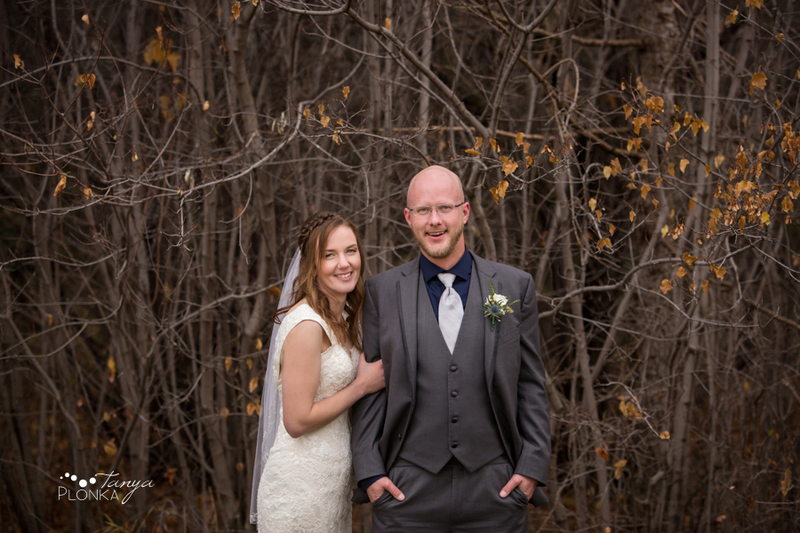 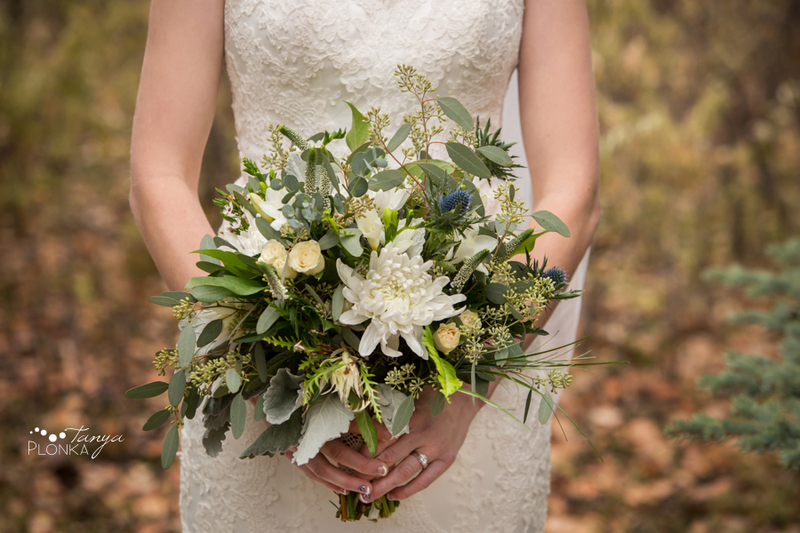 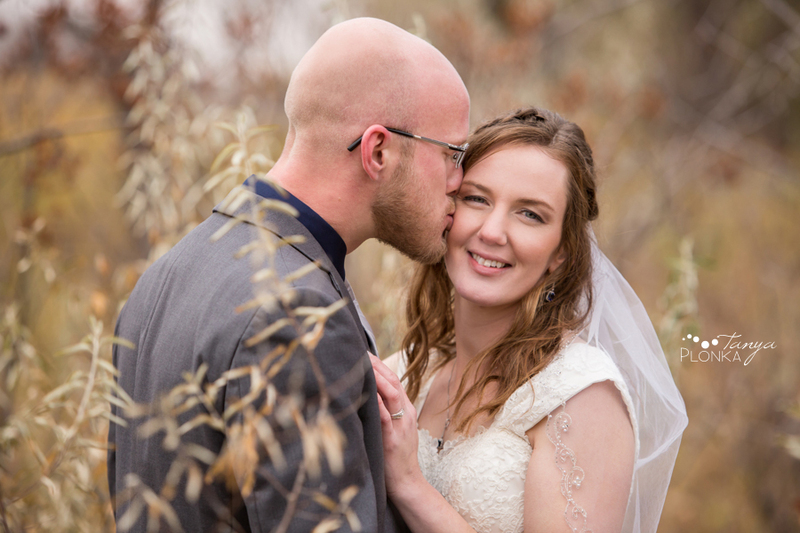 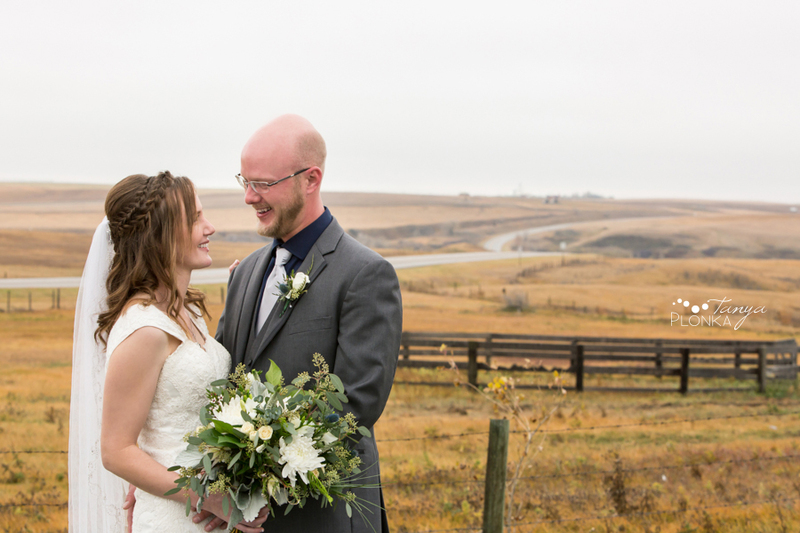 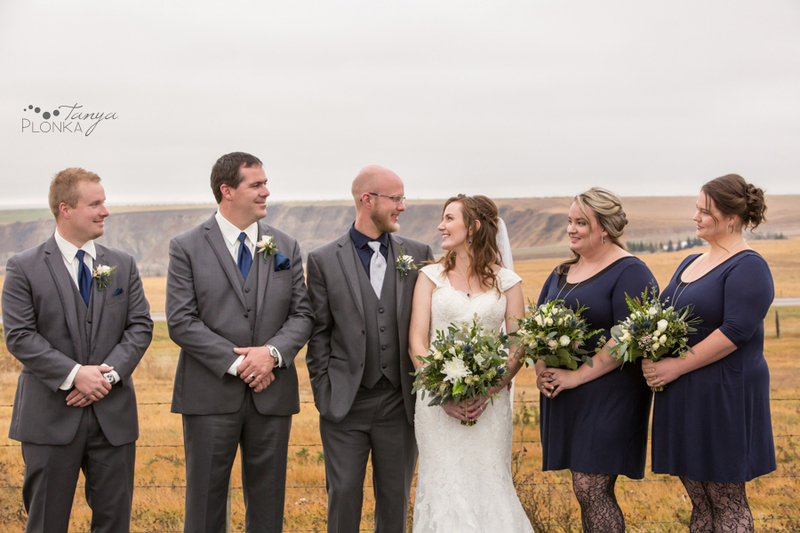 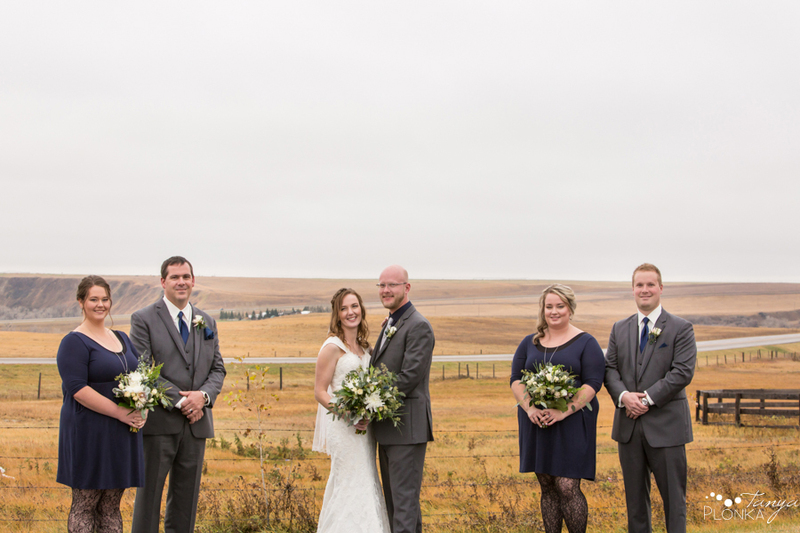 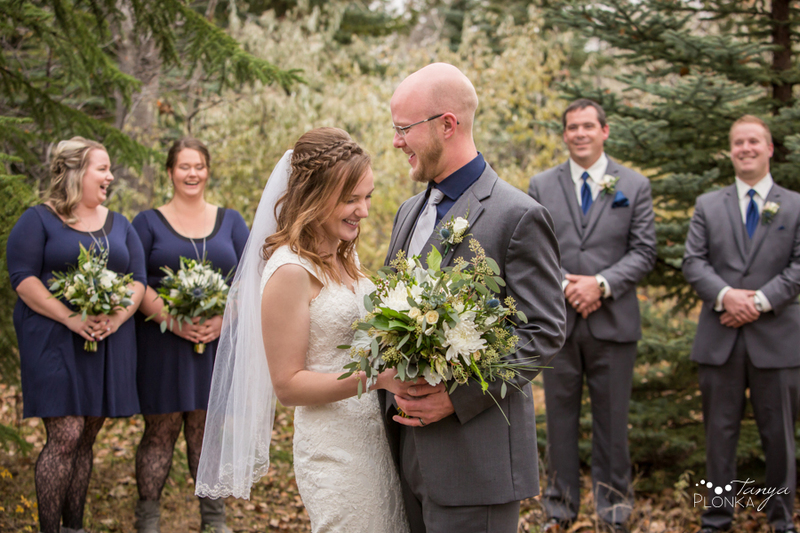 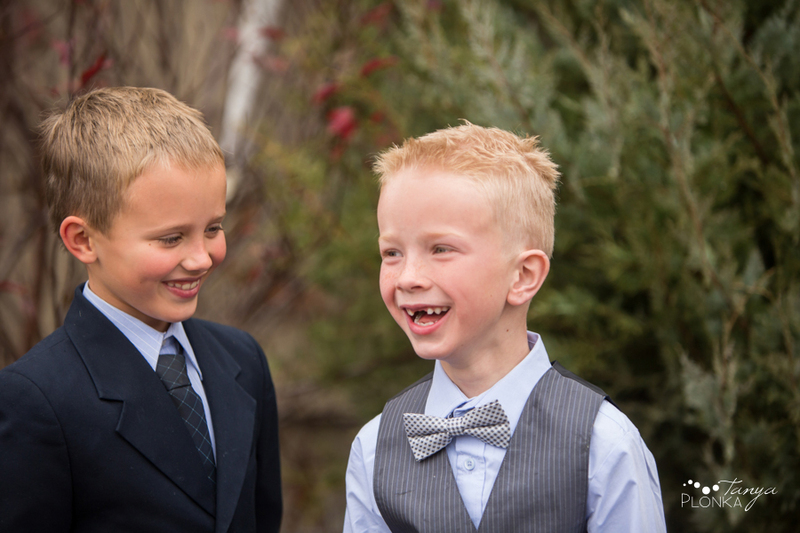 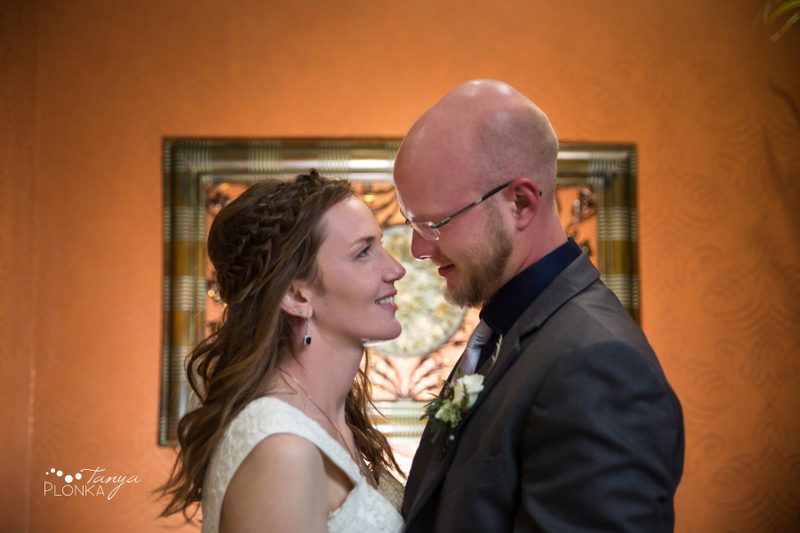 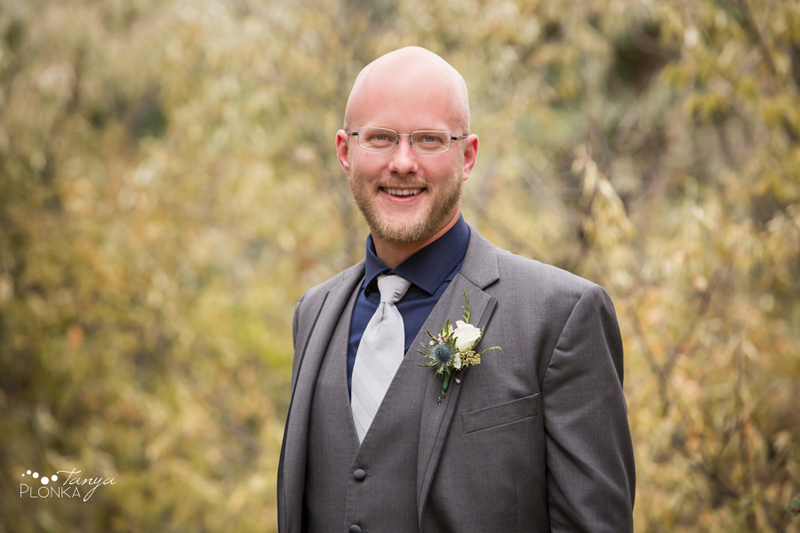 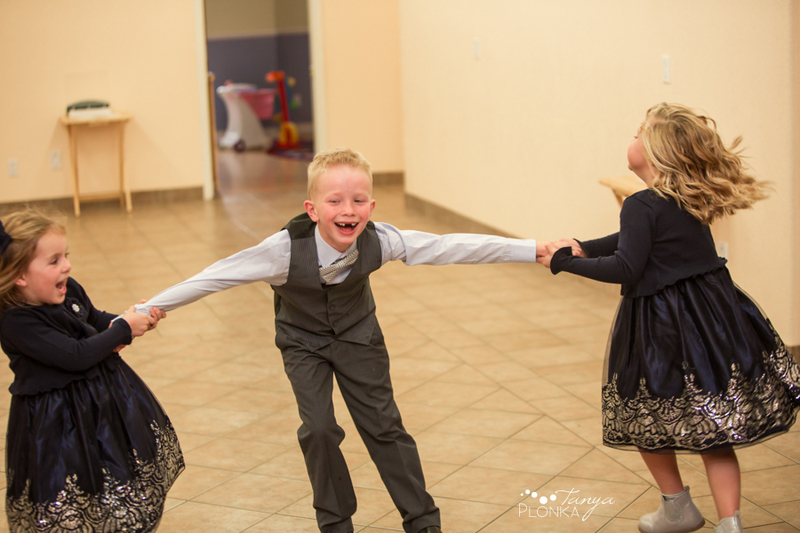 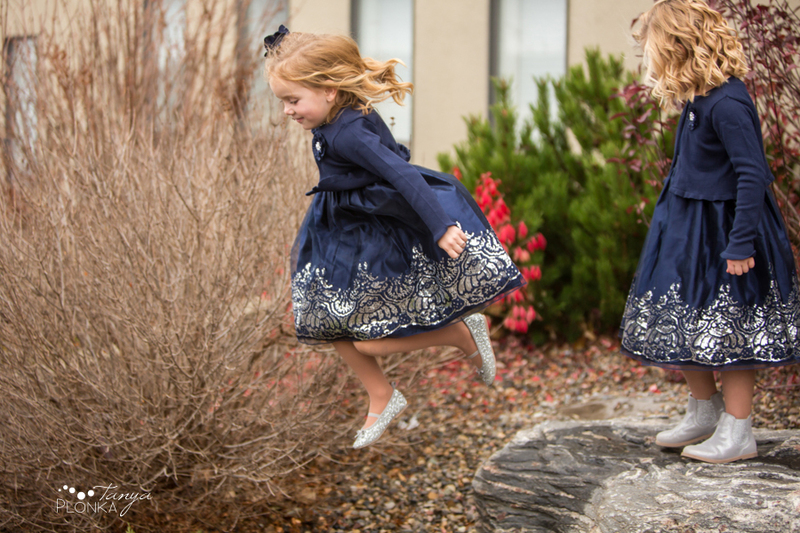 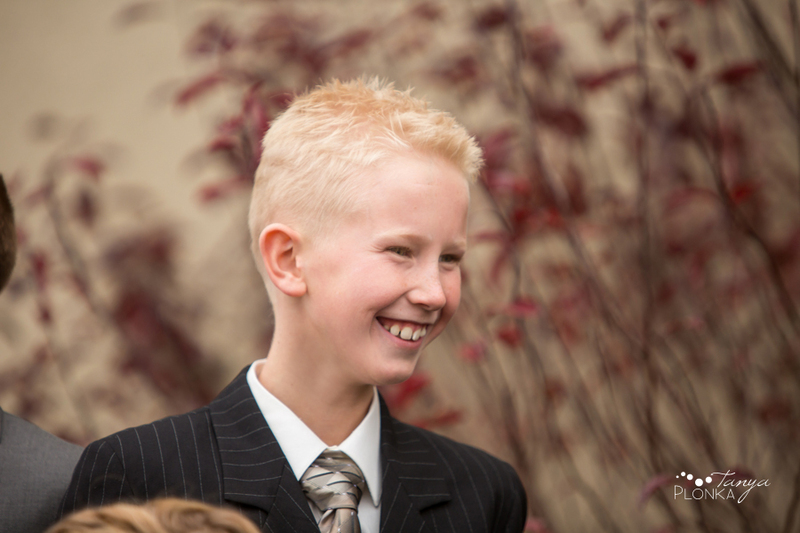 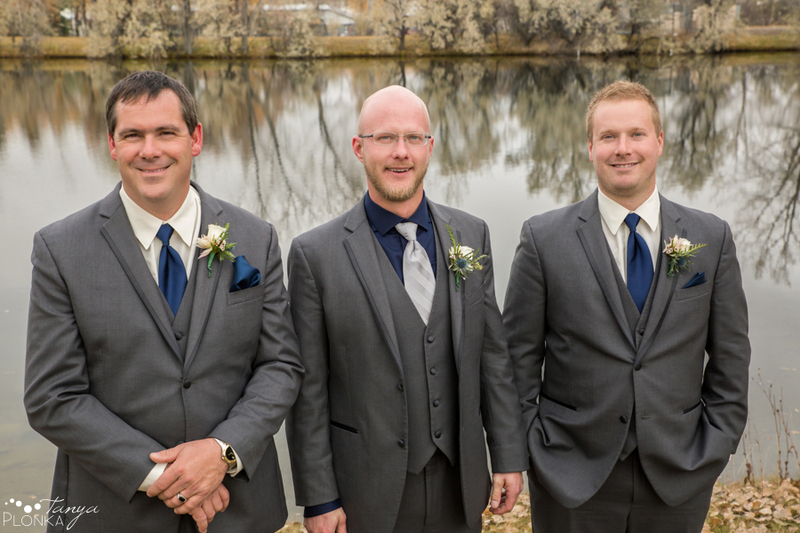 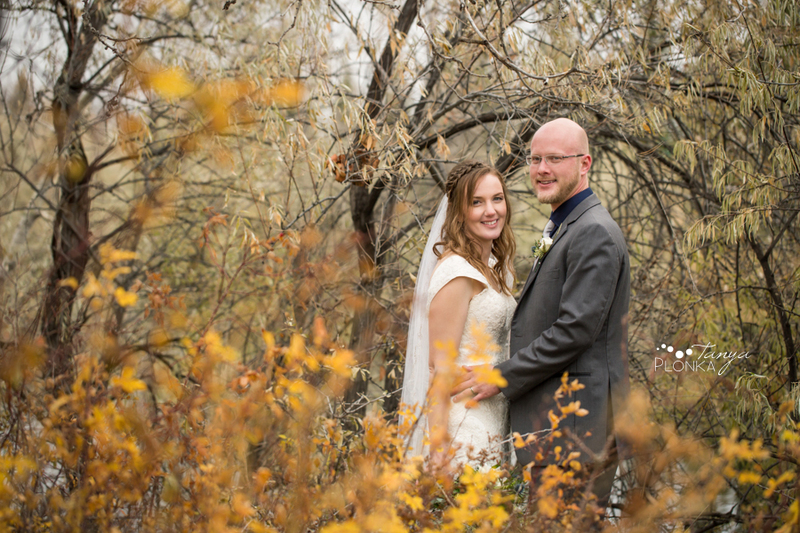 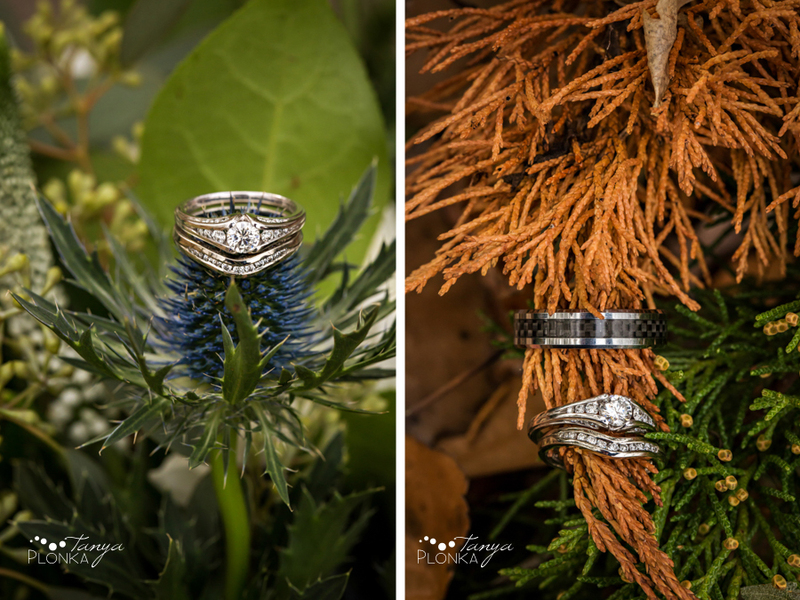 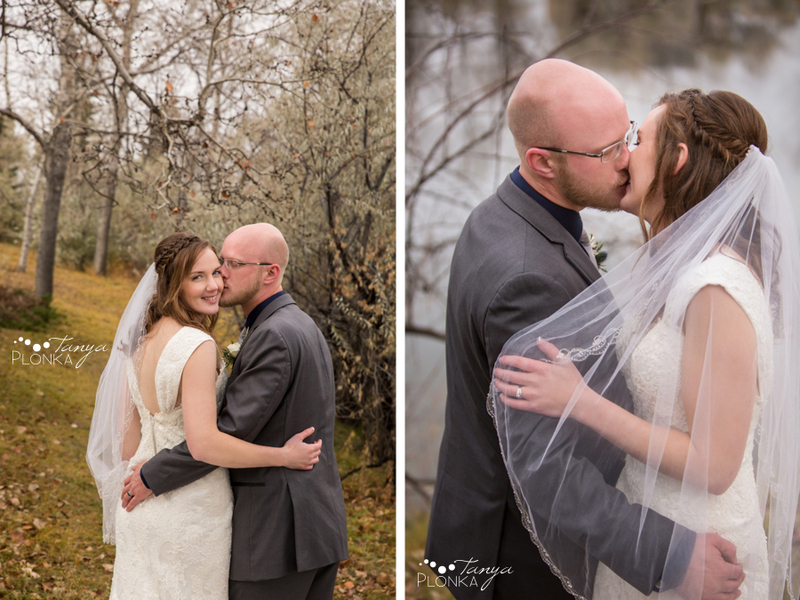 Dan and Deb held a beautiful fall wedding starting with their Bethel Free Reformed Congregation wedding ceremony in Monarch, bringing their families together. 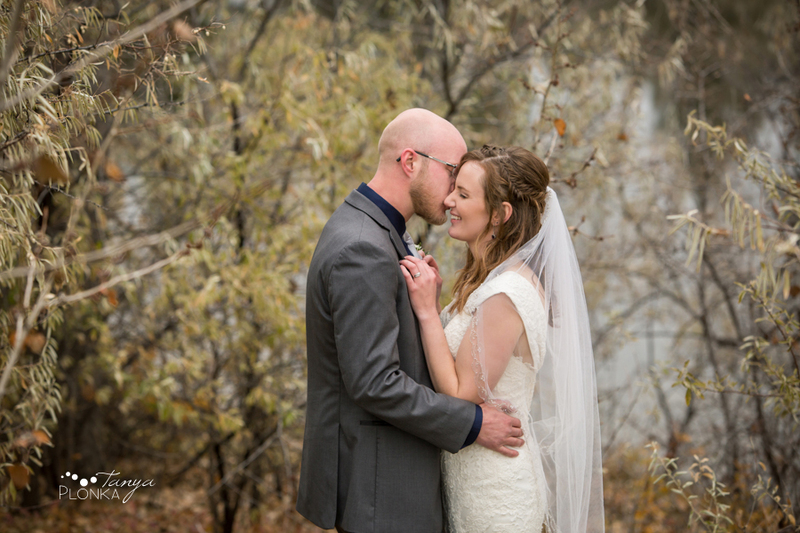 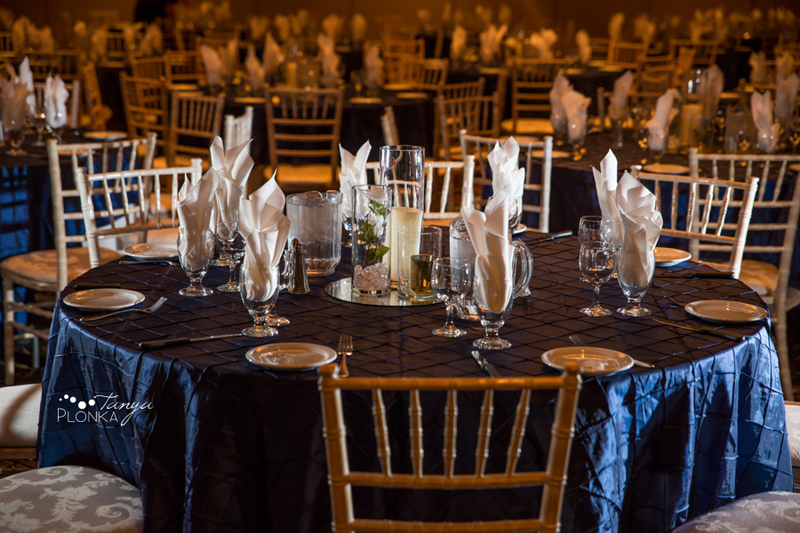 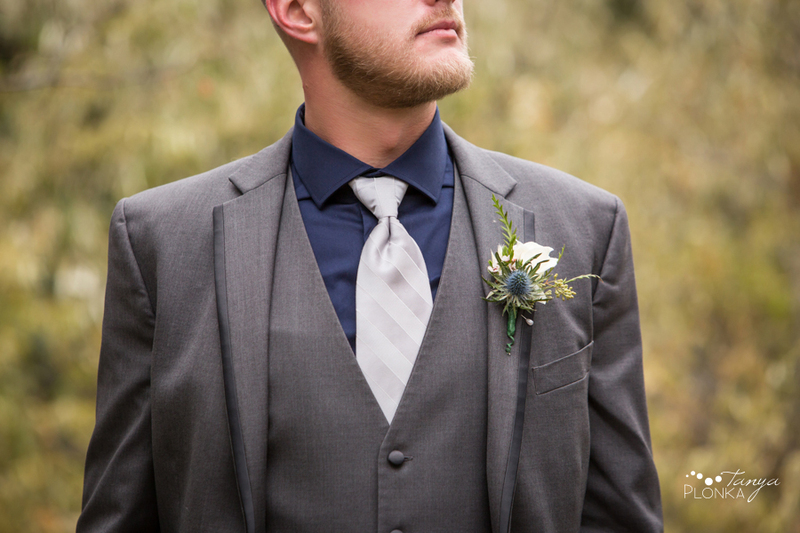 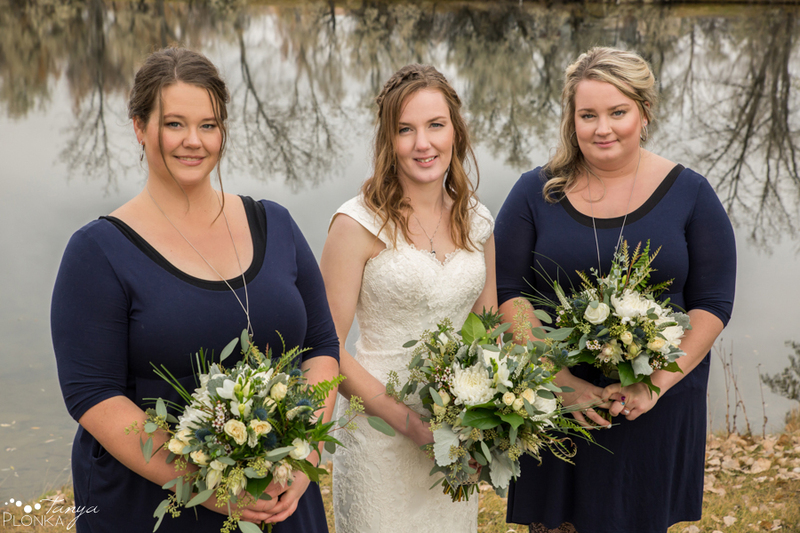 Even though the wedding took place in late autumn, we were able to find a few splashes of colour at the University lake and their navy colour scheme looked fantastic against the warm fall hues. 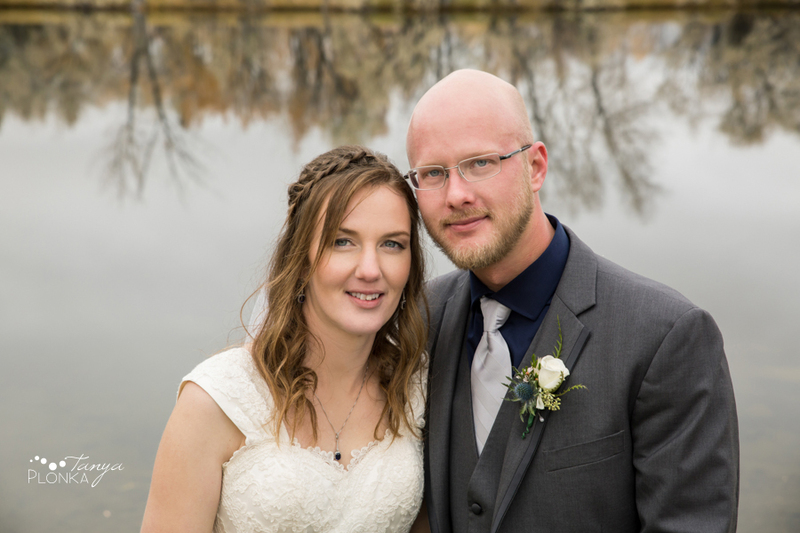 Deb and Dan already share such an intimate bond after facing some hardships together and now uniting in marriage will bring them even closer together. 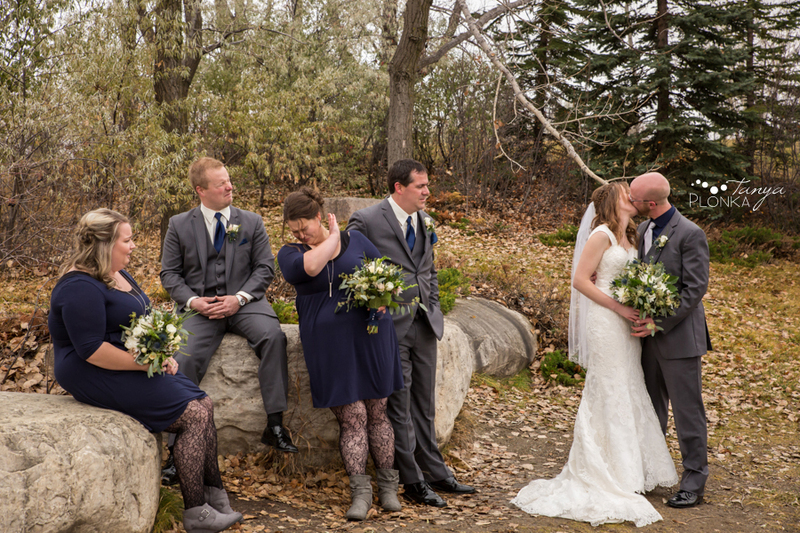 I loved watching the connection they share and barely had to direct them as Dan stole a ton of kisses and Deb grinned ear to ear in his arms. 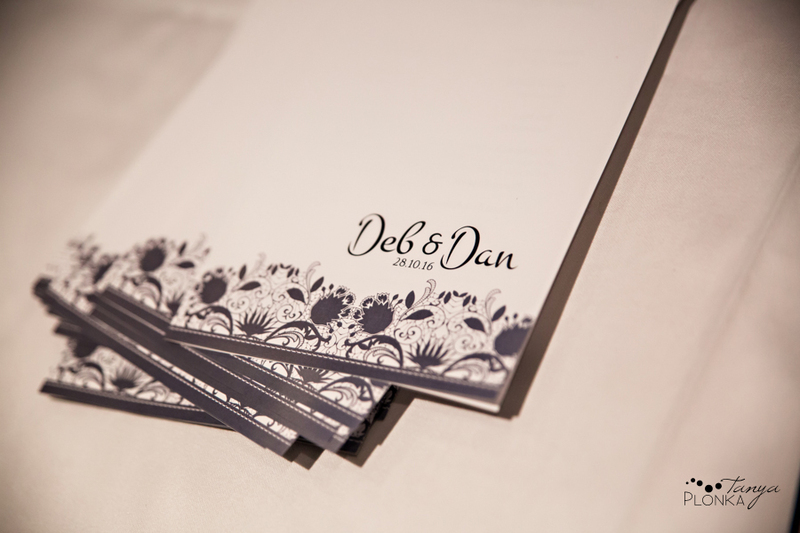 They are such a great match, especially in how Dan’s goofiness plays off of Deb’s deadpan humour! 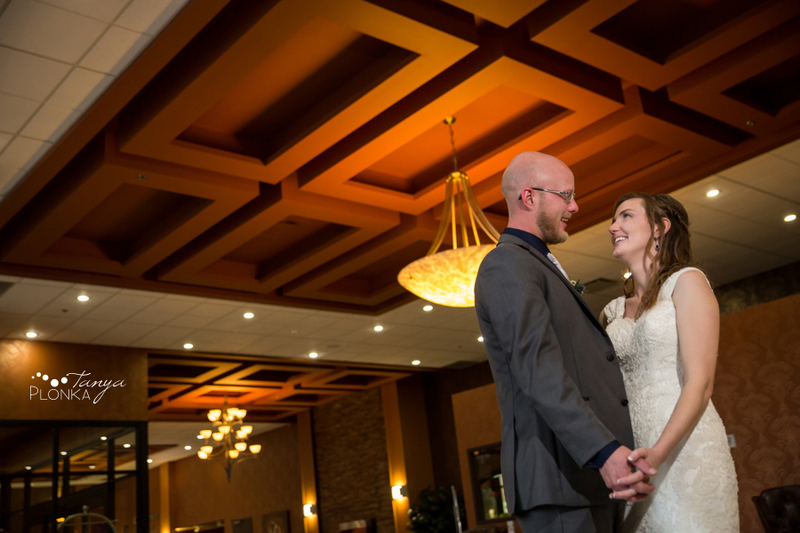 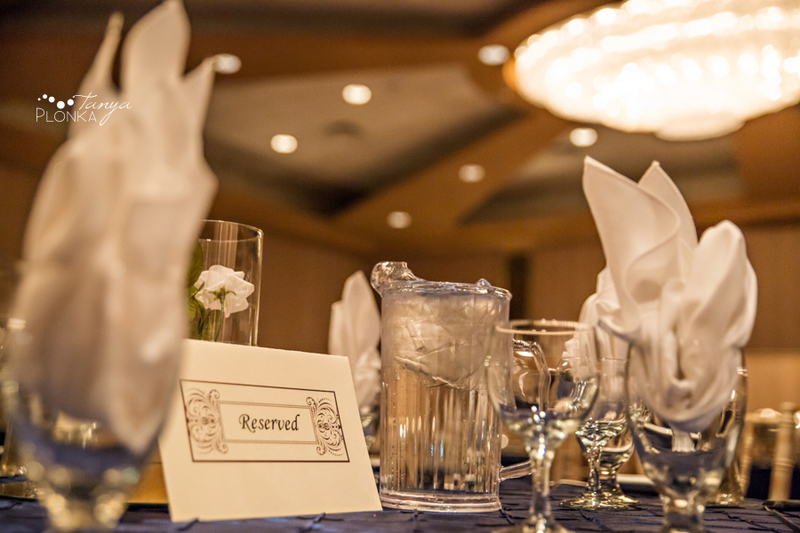 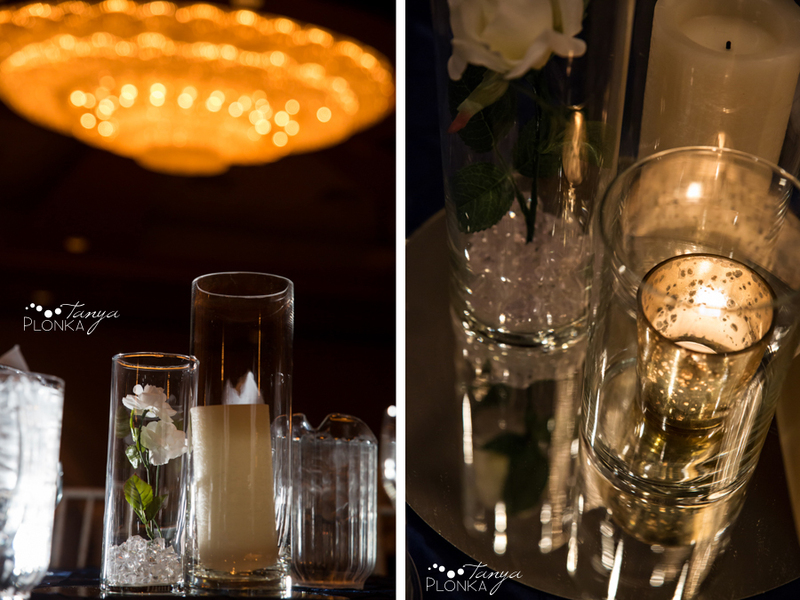 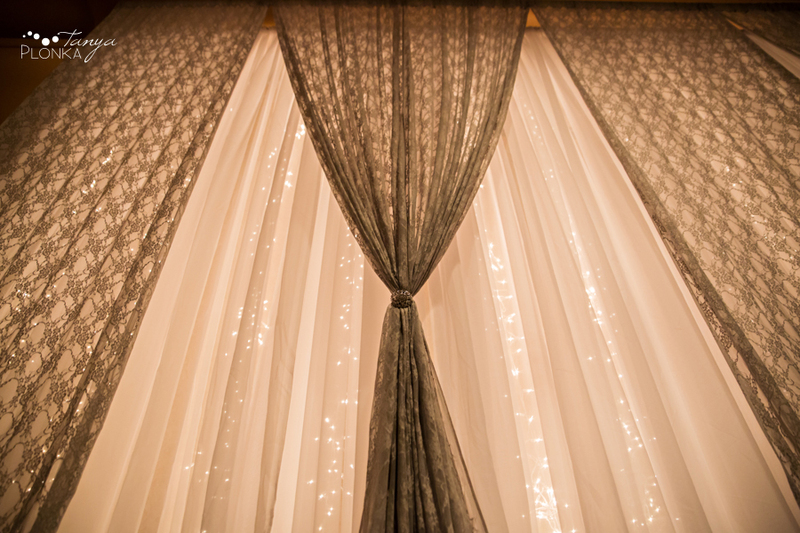 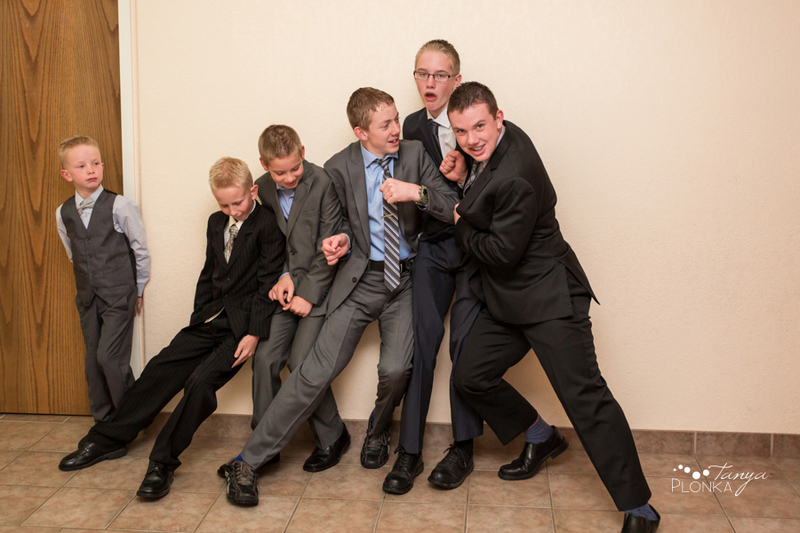 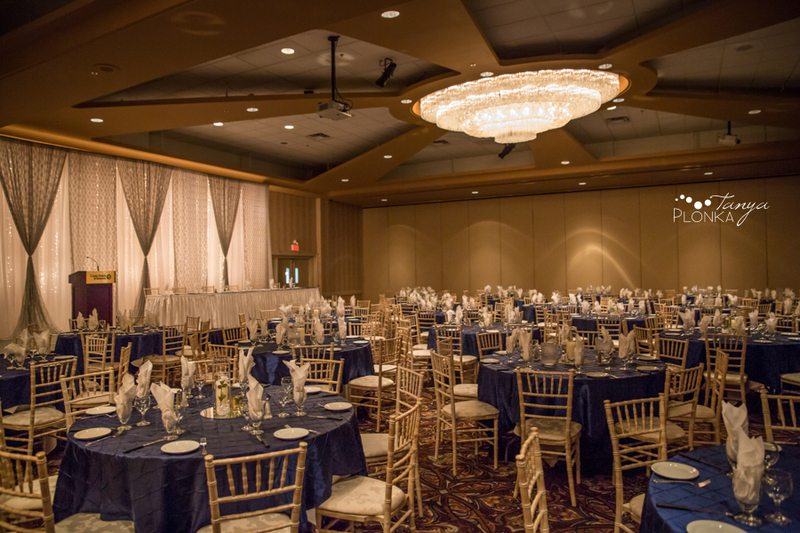 They finished off the evening by celebrating at the Coast Hotel in one of the ballrooms. 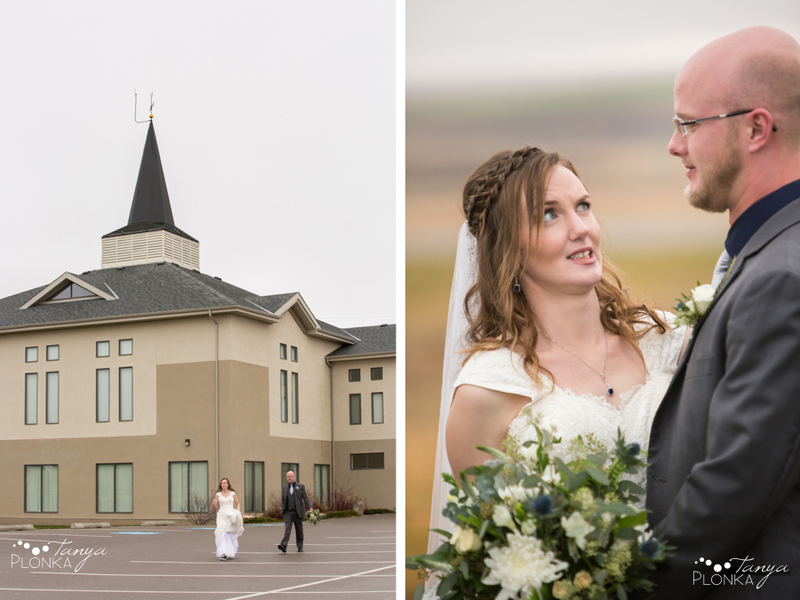 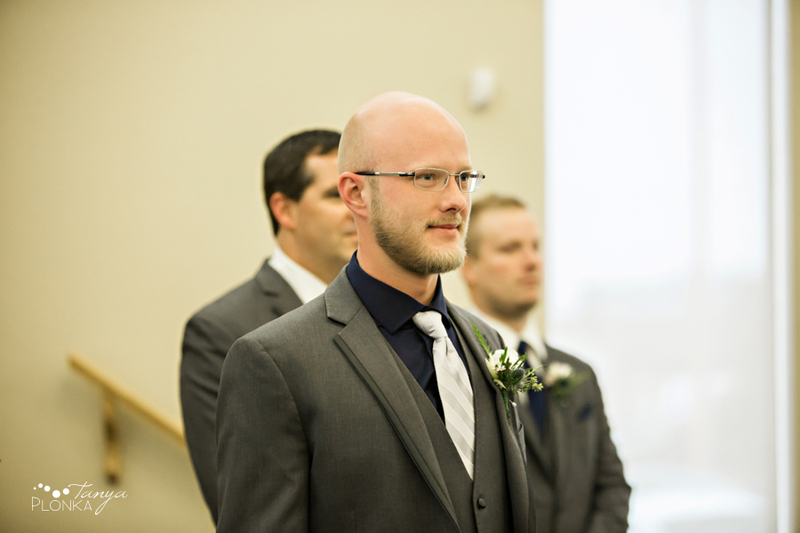 We started off the day at the Bethel Free Reformed Congregation just before their church ceremony. 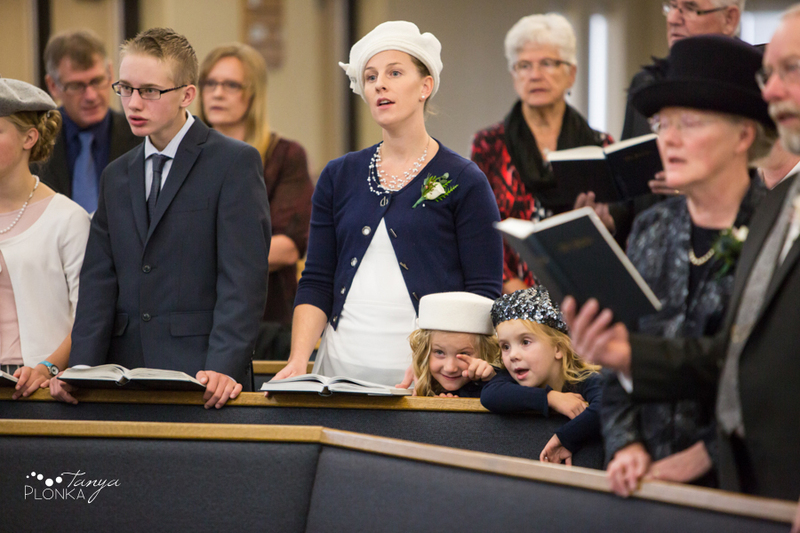 We try not to take photos during prayer, but these girls were too adorable! 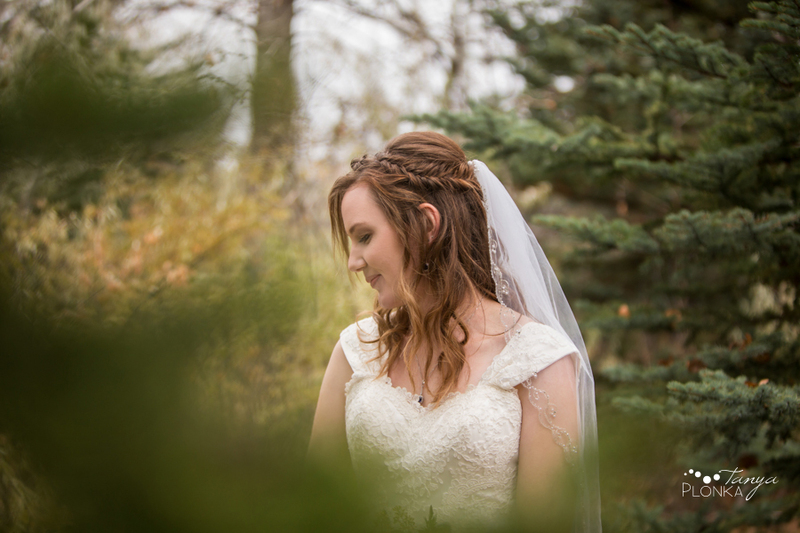 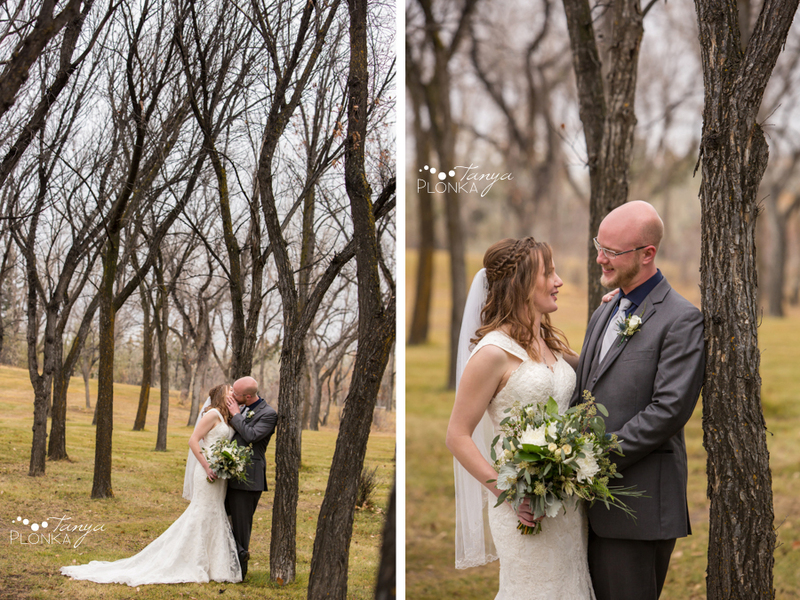 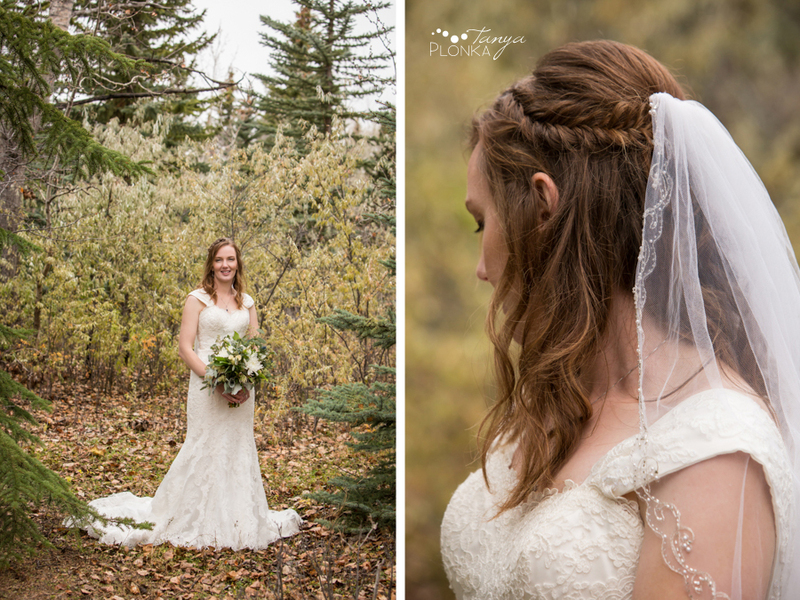 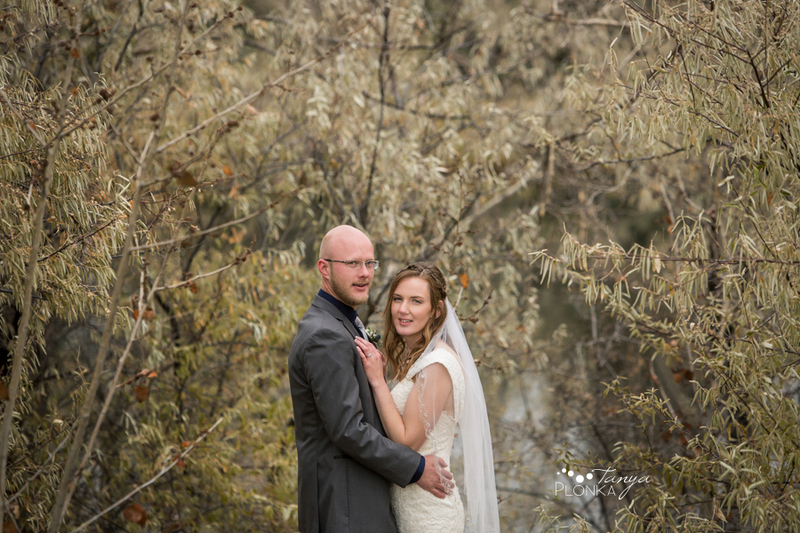 Deb’s hair and makeup was beautifully done by Prim Health and Beauty in Lethbridge. 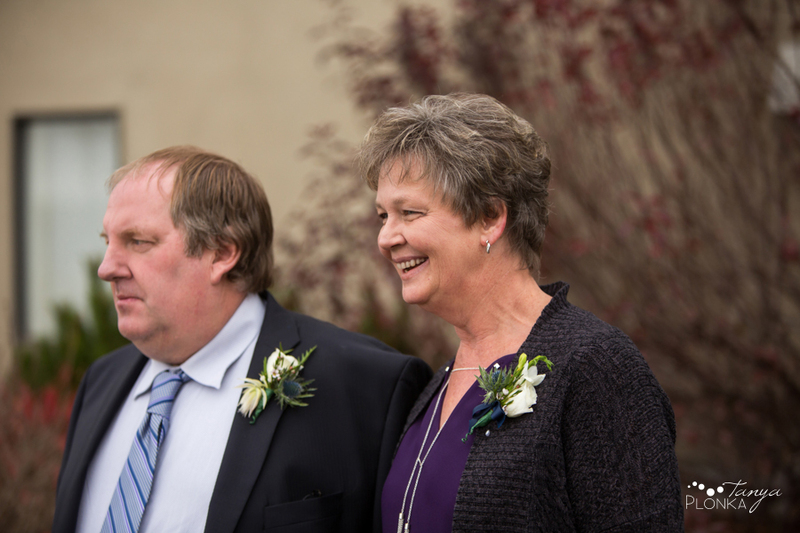 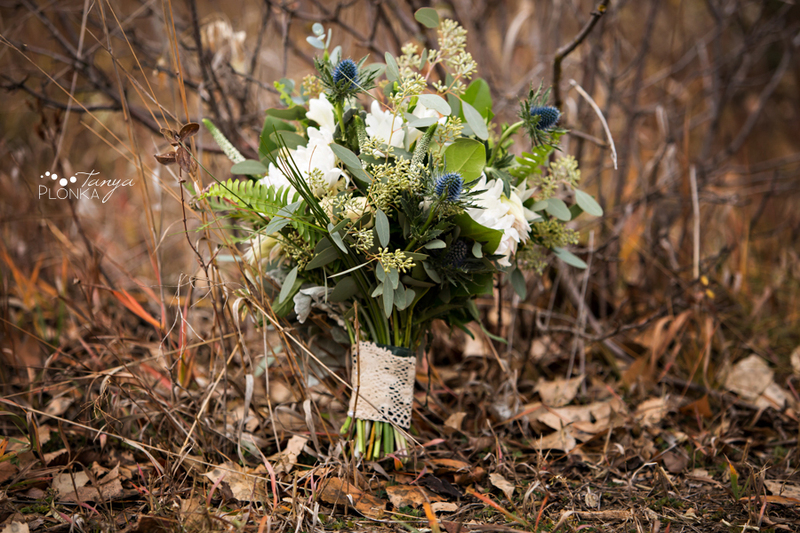 Deb’s bouquet was created by Flare ‘n Flowers in Picture Butte. 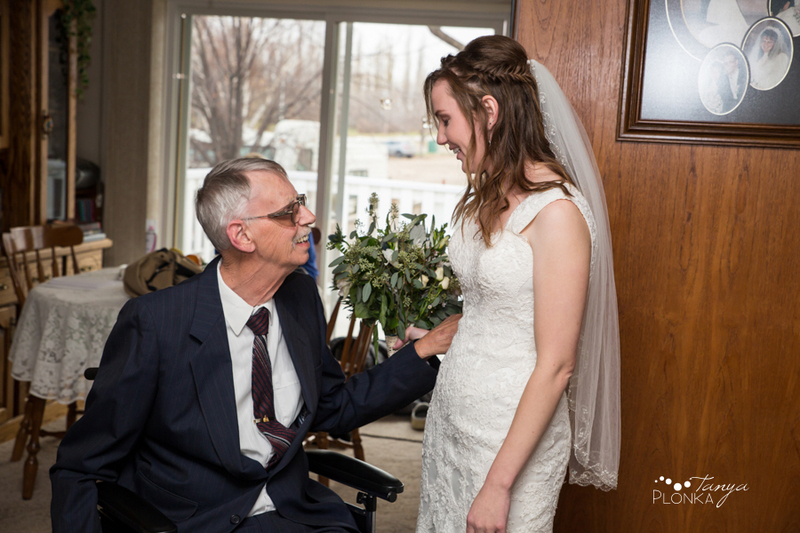 Deb’s grandfather was not able to travel for the ceremony and reception so we paid him a special visit at his home partway through the day. 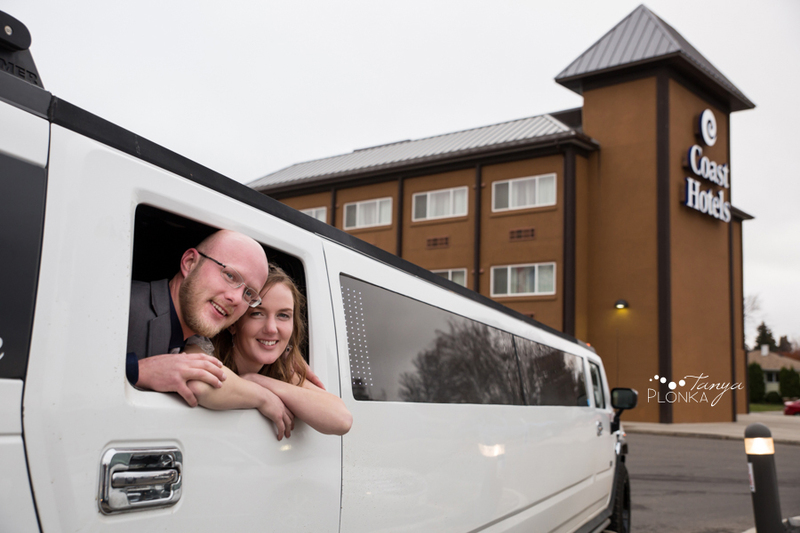 Their limo from California Dream Limo was a fun last minute addition, so we included it in a few photos too.